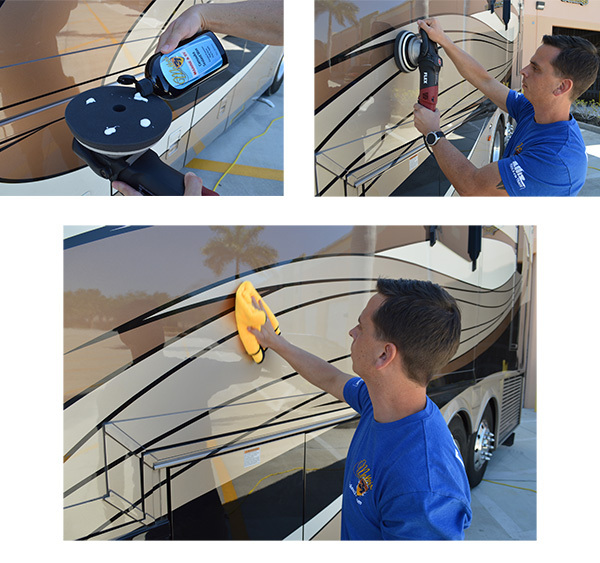 Apply by hand or machine with a soft foam applicator pad. A thin coat is all that’s needed! Allow product to dry to a haze for 15-30 minutes depending on temperature and exposure to sunlight. Remove wax using a clean, soft microfiber towel. Flip towel often. Excellent 5 The wax is amazing I used it on 2012 toy hauler and it looks brand new and no wax residue left any were.